Okay, okay, I know it’s a bit late for Happy New Year greetings etc… but I’ve only just landed back in Australia and it feels like I’m starting my New Year for real, today. So HAPPY NEW YEAR! 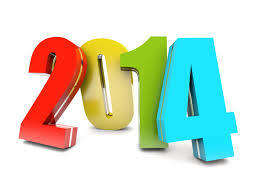 I hope you’ve started off the year with a huge bang and have a brilliant twelve months ahead. Last year I made a big fuss about New Year’s resolutions but this year, I’m going to be a bit more low key. And a bit more ‘general’. By this, I mean I’m going to focus on HOW to achieve my resolutions, rather than talking about what they actually are. I reckon if I get that bit RIGHT, the rest will follow. You see, I’m easily distracted. Always chasing the next best thing to keep my mind occupied and the spirit motivated. 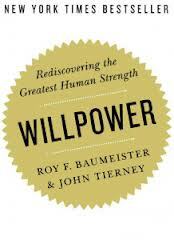 As I passed through Bangkok airport looking for some plane reading material, one title jumped out at me – WILLPOWER. Now that’s something I definitely need more of. I’d like to discuss this in more detail, but one crucial piece of advice in the book is about creating a less stressful life, which means better planning strategies and time management. So I need to get ready for a function right now and rather than run late and stress about not being ready on time because I spent too much time blogging, I’m going to head to the shower RIGHT NOW. Because I have new-found will-power! You should read this book. It really makes you look at your life and long-term goals and has some very valid theories backed up by far-reaching research about WHY certain methods will help you get where you want to be. As a writer, I am no longer going to procrastinate and wait for inspiration. I am going to plan regular daily writing sessions – and treat this like a REAL job – so I can finally achieve my goals. Well, that’s just one of my resolutions. But more on that later. Right now I have a shower deadline. By this, I mean I’ve made a few resolutions but keeping them seems to be the tricky bit, so it’s the ‘how to keep them’ bit that I’m going to focus on.